As if we had not enough indicators of when father time is knocking at the door, along comes another one. Age spots also known as liver spots seem to suddenly appear without any warning or invitation, the gate crasher to the party. We may not be happy to see this gate crasher but we have other guests to look after like creaky back, deeper wrinkles and Mrs Grey who all need our attention. Ah, what it is to be popular and have such a hectic social life and one non-stop party. 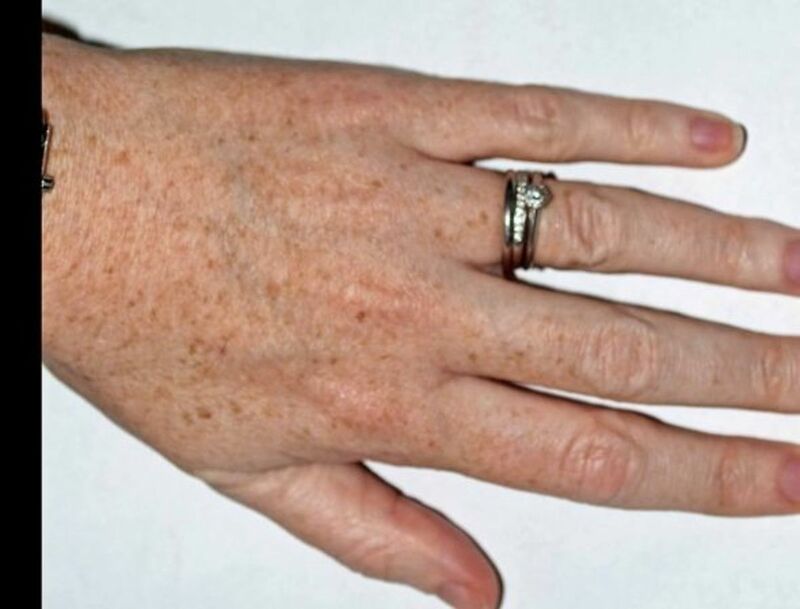 Age spots, liver spots or solar lentigenes are flat oval grey, brown or black spots usually appearing on the back of the hands, tops of the feet, face, shoulders, upper back or arms. They vary in size from freckle size to more than half an inch across and can appear as a single spot or in a cluster grouped together. Although they usually appear over the age of 40, they can appear when younger. Do you know what you are putting on your skin? Unfortunately there are many dangers lurking in our cosmetics which can have serious health implications. Here are 9 toxic ones that are commonly found. Years of exposure to UV (ultra violet) light from sunshine but may also be contributed to years of using sun beds, tanning rooms or tanning lamps. Melanin which is the natural pigment in the upper layer of the skin (Epidermis) gives us our skin color. When exposed to UV light, melanin production is accelerated in the skin giving us a tan. Years of sunburn will make you more susceptible too and fair skinned people are more likely to get age spots. On the areas of the skin that have had years of prolonged or regular exposure to UV light, melanin appears in high concentration resulting in age spots. Old age alone will often cause extra melanin to be produced. It can be attributed to genes and genetic make-up as to whether you are more likely to develop age spots. Hormonal changes such as pregnancy or menopause. Not enough Vitamin A, D or E in your diet. Too much iron in the diet. While there are over the counter fade creams and lotions available, many will contain chemicals which may help improve and lighten the spots with regular use. I prefer to look to some more natural remedies that can be done at home using ingredients that have the ability to lighten the age spots and fade them. Here are some easy but highly effective ingredients and ways to use them. Remember age spots do not appear overnight so don’t expect them to disappear quickly. All these ingredients may be used in a variety of homemade skin care treatments so you can double up or triple up your benefits by whipping up gorgeous cleansers, toners face masks or face scrubs. Dab on the age spot once in the morning and again in the evening. Repeat for a month and you should see improvements. One of the most popular and widely used remedies for lightening as it has a natural bleaching on the skin or hair with its citric acid. Dab fresh lemon juice to the spots and allow dry. Remove after 30 minutes or leave on overnight. Make sure it is removed during the day as lemon is sun sensitive and could cause skin to become irritated. Rub an onion or onion juice directly onto the spot twice a day. The vitamin C works as a skin lightener and fades age spots. You can mix the juice with lemon juice or apple cider vinegar for an extra kick if you wish. Apply aloe vera juice, gel or straight from the plant to the area and rub in. The purest type of aloe vera will be the best to use. Apply twice a day and leave it on for about an hour each timer then rinse off. With a cotton ball apply the vinegar directly on the spot twice a day and leave to dry. Another option is to use a teaspoon of fresh orange juice mixed with 2 teaspoons of the vinegar and apply twice a day. It may be left on at night. Rub the rind of a watermelon on the spot or spots leave for 15 minutes then rinse it off. 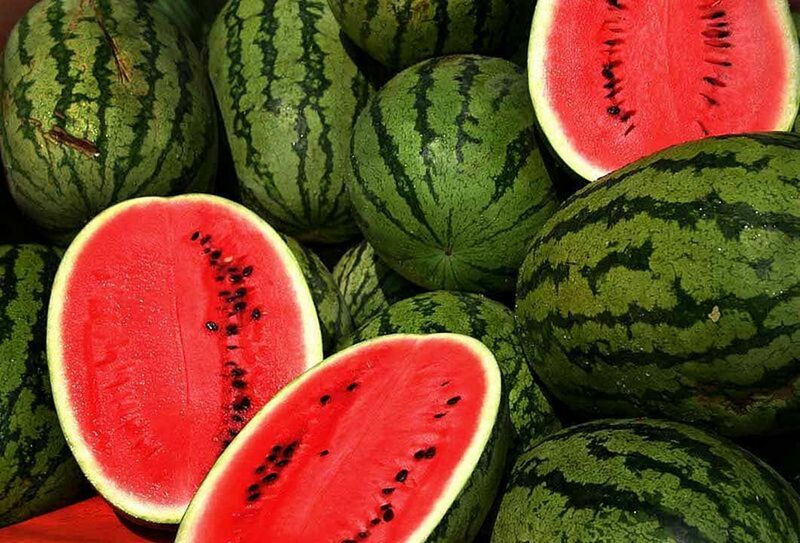 Melons have skin lightening properties. Rub the juice or sap of a dandelion root on the age spots two to three times a day. With a history of skin lightening abilities, mix some saffron with either sandalwood or rosewater and apply twice a day. Leave for 20 minutes and rinse off. Well known for skin whitening mix turmeric powder with a little milk, sandalwood or curry leaves to a paste and apply directly on to the dark spots. Leave on for 30 minutes and rinse off. Apply this twice a day for maximum benefit. Another ingredient with natural bleaching benefits you may apply the juice or mash up some cucumber into a pulp and apply to the dark spots. With juice allow it to dry in and then rinse off. For the pulp apply and leave for 20 minutes before rinsing off. Apply either of these twice a day. Is there anything this versatile oil cannot do? Dab some directly on the age spots and allow absorb into the skin. Do this twice a day. Excellent for the skin a real healer it is great for fading dark spots. Apply in the same way as olive oil using twice a day. None that I can see . . . yet! yes and not bothered about them. Increase your daily intake of Vitamin E as it helps lower the production of melanin in the skin and age spots result from an INCREASE in melanin. Use sunscreen as part of your daily regime with a minimum of SPF 15 on the areas of skin affected by age spots. Apply sunscreen at least 30 minutes before going out in the sun. Sunscreen provides protection and prevention of further age spots from forming. 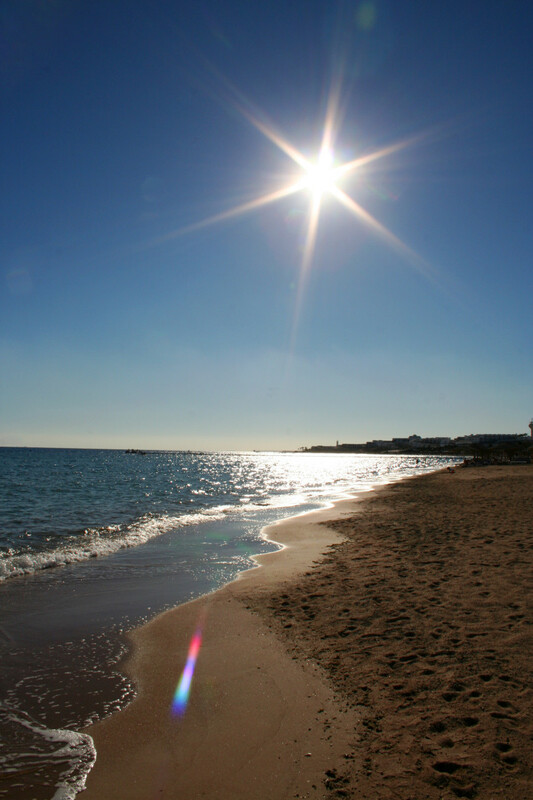 Spend less time in the sun and avoid the artificial tanning rooms or beds. Avoid the sun when at its hottest between 11-3 and try to schedule outdoor activities around this. Cover up by wearing a wide brimmed hat which offers better protection than a golf visor or baseball cap. Wear tightly woven clothing to cover arms, shoulder and back. Having age spots crash the party of life can be annoying or worrying but there are a number of easy solutions and remedies. Apart from over the counter medication, creams and lotions you have treatments such as dermabrasion, peels and laser treatments available. Homemade remedies may take longer to see results but are a cost effective non invasive option that has additional benefits for the skin. Having developed age spots a few years ago, they are not something that really bugs me apart from a few on my face so the homemade route it was for me. By keeping a close eye on any changes, I am confident they are harmless and have faded considerably. Try these remedies out for yourself and watch them disappear. Making a rosewater and lemon face wash takes no time to make and will give you wonderful rejuvenated skin. You may also want to make your own rosewater using rose petals so read on for a face wash recipe and how to make your own rosewater. No need for a chemical facial peel with this DIY recipe with natural fruit acids and high levels of antioxidants which is easily made at home. Pomegranate, lemon and green tea are all you will need. A papaya & pumpkin facial exfoliating mask is full of nutrients, vitamins, antioxidants and skin beneficial enzymes which make this homemade facial mask recipe extremely beneficial for all skin types. Making a homemade eye cream that is beneficial to the delicate skin around the eye is made easy here with 2 ingredients. Coconut Oil and Vitamin E are packed with reasons to use in an eye cream recipe. Wild Violets and Dandelions make the perfect bath tea recipe. 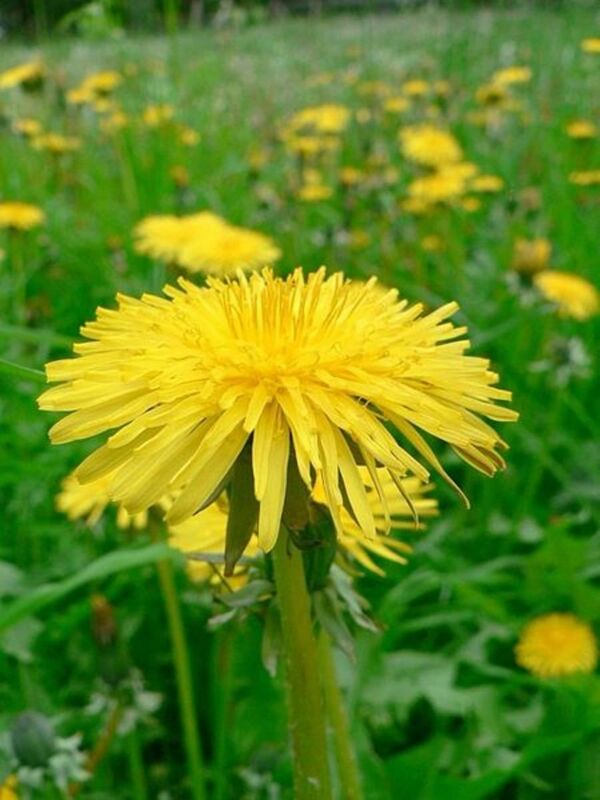 Growing wild, often considered weeds they are full of health benefits that will surprise you. They are used in many ways and are edible. Make your own skin toner easily with fresh ingredients. Designed for dry skins, it contains cucumber, coconut milk and coconut water and is soothing and hydrating. Read on for full recipe and more . .
A homemade cucumber face wash is easy to make and much more beneficial to your skin than store bought varieties. Here is a face wash recipe that is cost effective, chemical free and suitable for all ages, sexes and skin types. Here is a quick, easy and inexpensive eye gel recipe you can whip up in your own kitchen using cucumber and aloe vera gel. Say goodbye to under eye puffiness, dark circles, dehydrated skin and more. Turmeric has long been used in beauty recipes in Asian culture and has amazing benefits to the skin. Read on for beauty recipes with turmeric including anti-wrinkle treatments for the face. Did you know Virgin Olive Oil as a skin moisturizer is one of the best moisturizers and natural skin care products you can use? 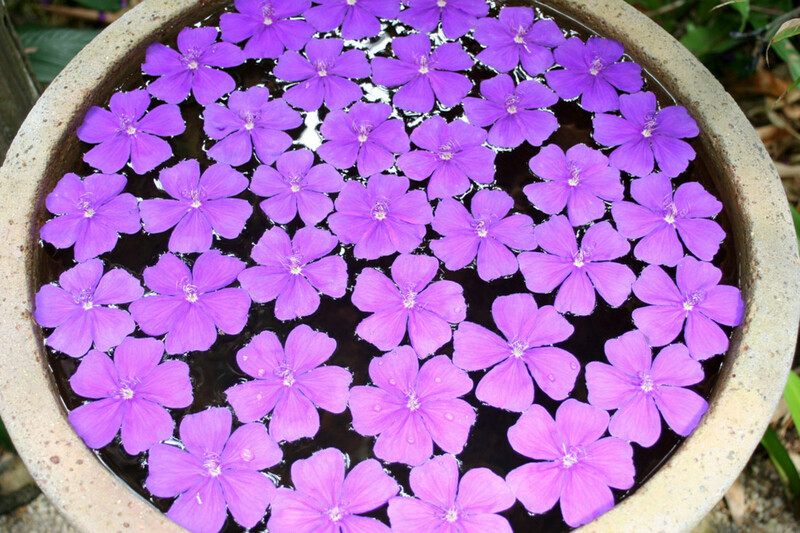 Used by Mediterranean women for thousands of years, find out how beneficial this wonder product is for your skin. Are you longing for thicker longer eyelashes? Are your eyebrows in need of some help? Beautiful eyelashes and eyebrows can be yours by using castor oil nightly. Read on to find out more information on Castor Oil and Jamaican Black Castor Oil. Those darn gate crashers! Mr. Wrinkle has shown up along with Mrs. Grey Hair and their cousin Ms. Age Spot. Although not invited, they seem to have settled in just like squatters and seem fairly comfortable in their new surroundings. Like a well worn comfortable shoe, I have become accustomed to their presence in my life. I had not thought about the couple of age spots on the back of my hand until reading this. I have been using coconut oil to moisturize my skin of late and think that they have faded a bit. So kudos to that method! I think that I will continue using it. Not sure I would go for the onion treatment. Ha! Up votes and sharing. Wow! What helpful tips, especially since most things are already in my kitchen. Thank you. I love how you made this article so very interesting and quite funny! It actually grabbed my attention because, yes, I do have those annoying crashers and lemon is my best friend for many reasons--getting rid of age spots is just one. I swear by it. Anyway, not sure how I missed this hub 'though I remember reading it then. :) And, on the side note, I missed seeing you around HP or maybe it's me, who's again MIA. At any rate, hope all is well with you. Voting up, useful, pinning and sharing. I do not have age spots yet. I do hope that I will not have one or many. But a least I know what to do should the time comes. Very interesting way of delivering the message. Great hub indeed! How good of you to pop in. Lucky you with having no "gate crasher's" yet. No, i have no book yet as have been busy compiling recipes here but now feel the time is to take it further to my own website, book or products to sell online , whatever I can do! i love it and it has become such a passion learning and honing my craft. being able to combine my training in this new way is exciting as a former beauty therapist and make-up artist. Thank you for your interest Bobbi! While I have known different treatments with lasers, i have never heard of this one, sounds interesting though. lasers can have great results and healing times often reduced greatly. I know my friend had back surgery with them and was back driving reasonably fast considering it was a major problem. Thanks for your interest and support, appreciate your thumbs up, shares and pin greatly! Many thanks for dropping in. Glad you found this interesting, appreciate you voting and sharing! Great hub, but I do not have age spots yet and since my grandmother and mother did not have them I am keeping my fingers crossed. I would like to know---have your written a book about all this knowledge you have shared with us? A few years ago I had a co-worker who used laser treatment to get rid of her age spots. She had this treatment in Thailand. Do you know anything about this? Great hub. Voted up and sharing with followers. Also Pinning and sharing on Facebook. Don't you just hate those gate crasher's of life??!! LOL The grey hair, the age spots . . . Ah well, that's life but at least they show us we are alive and kickin'. Glad you found these suggestions helpful. Thanks for your kind words too, i do my best steering people in the right direction, no point otherwise and if in doubt, leave it out is something I follow too. i am no expert, doctor or medical practitioner. I do not believe in providing dodgy info and if I cannot find research etc to support things then . .Thanks again for all your support and it is so warming to hear you refer to my work as top notch. Cheers for all votes, sharing and pinning! Thank you for this useful and interesting hub here. Votes way up and sharing as well. Every party has a gate crasher but age spots are certainly not ones we want. They kind of creep up on us and then, voila there they are! These are great suggestions to get rid of them. Easy, cheap, and I'm sure effective as you always steer us in the right direction. You KNOW we will be trying them! Who wouldn't prefer castor oil on the outside rather than the inside ;) Your 'beauty solutions' are always top notch. Voted up, useful, awesome, interesting, pinned and shared. Age spots are one of those things some don't mind too much and others hate them. I have some on my hands and a few on my forehead but really don't mind too much as they are quite faded (probably from all the different concoctions I have been using!). Sun is a big factor I would think for mine too and I have been using olive oil on it's own recently as a cleanser and moisturizer and lemon juice in various recipes and think that has benefited my age spots. Cheers for the sharing, much appreciated! I used to tell my mother how beautiful her age spots were. Now that I have them, they are not so lovely. Years of sun abuse of done my skin no favors. I think I'm going to try the olive oil. Shared around. Many thanks for your wonderful comment and support, you are always such a welcomed friend! Glad you enjoyed these easy to make recipes, amazing what lies beneath a fruit skin! Have a great week ahead, much appreciation as always! These are excellent and easily obtainable remedies. Watermelon rind, huh? Terrific research, my friend. There are loved ones who can definitely make good use of this information. Aloha, and have a great rest of the weekend! Hope you find them useful, appreciate your visit and lovely comment! 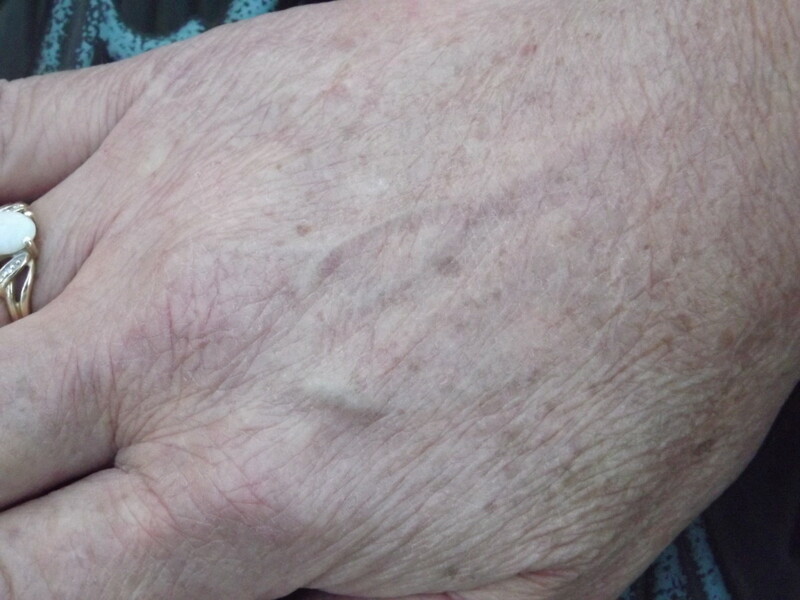 Lemon juice is a wonder for these marks which are often age and genetic related. I think mine are a combination with sun thrown in since I did spend long periods abroad in strong sun coupled with sunbathing here with silly and dangerous products on my skin. Thanks for your interest as always my friend, great to see you! How lovely to see you here! It is hard to avoid those "gate crashers" coming from a hot climate such as yours as I remember the heat in New Zealand being totally different to European sunlight. It felt so much more intense and "hot and dry". Hope you enjoy these remedies, appreciate you dropping in and for your votes!! I believe mine are due to age and genetics. As you mention, I have found lemon juice to do the trick in lightening the spots. I love your suggestions and will also try some you listed here. Amazing! I have started to get age spots on the back of my right hand so I will be trying some or all of these remedies as I find them very unsightly. Upped, pinned and shared. Thank you for another great hub! Nice to see you, thanks for dropping by to comment! Onion juice is one I did not know either but there was great reports on its benefits. Glad you enjoyed! Great home made remedies. Never knew that onion was a cure for age spots. Thank you for sharing this. Good to see you hope all is well for you! Appreciate you stopping by and hopefully you will not get these but at least you are prepared now and know how to trat them and signs to look for. Cheers as always, have a great weekend!! Well it was your suggestion and Abby Campbell's that sparked this one, if you remember you gave me "homework"????!! LOL Glad you enjoyed these ideas, lemons certainly are a great one and the others are worth trying in their absence too. Hope these start making a difference for you! Cheers for your votes, shares and continual support my friend! Was thinking it was your cruise??? if so, cannot wait to see your posts! Cheers for checking in and commenting here! Appreciate your votes and usual round of networking good to have you back!! Thank you for sharing these useful tips. I don't have age spots yet but it's good to know what to do once they appear. Suzie, this hub is something I can really use (as if your other's arent???). Living in Florida for most of my life and trying to get as dark as I could when I was young, I now have age spots. Once I learned of the dangers of the sun, especially this close to the equator, I stopped laying out in the sun. However, that hasn't stopped the damage that was already making its way to my skin's surface. I have age spots on my hands, lower arms and legs. Hoo boy! Looks like I'm going to have to squeeze an orchard full of lemons into the tub and soak for a while! Voted up, helpful interesting and shared my natural remedy guru! Guess I have something to look forward to :) At least now I'm armed and ready. Another great hub Suzie. I'm amazed at the number of natural remedies for this, sure beats putting some kind of chemical onto our skin. I've been out for the last few weeks, it's good to be back. I have lots of catching up to do. Voted up, shared, pinned. Many thanks for your comments and so good to know you found it interesting! Apple cider vinegar is such a useful product to have in the home for different skin care recipes particularly for oily or combination skin types. It does work well on the age spots as I used it on one on my right hand as I was experimenting with different ingredients on mine! Appreciate your thumbs up greatly! Glad you enjoyed this and found interesting. They are common after having children believe it or not. Appreciate your comment and support, always a pleasure to see you! So nice to see you! Lucky you with no age spots yet. I have to say mine are very light and faded and hardly noticeable. i have been using so many of my recipes which include many of these ingredients it all has helped fade them. Lemon juice is probably my no.1 remedy then apple cider vinegar and both work for hair too for lightening blond hair i find. 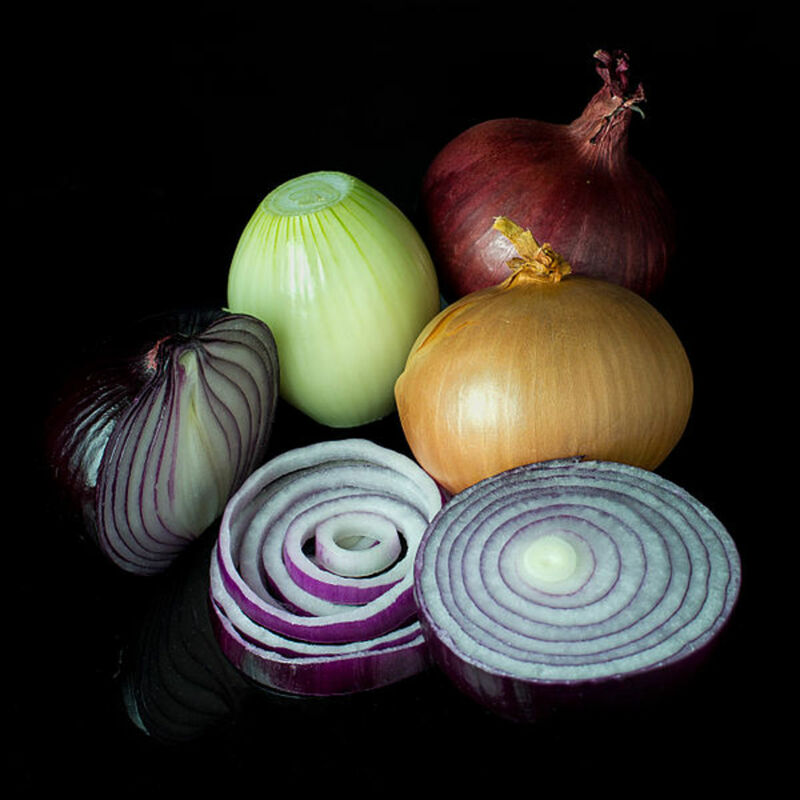 Onion has very good results from what I have read but have not tried it for age spots yet. Can just visualize someone grabbing your hands for a burger!! LOL Cheers for all the support, you are amazing! Will pass on your wishes, regards to Bev and thanks so much my friend, you always brighten my day (or early morning as it is here now at 1.25 am Friday , must go to bed!). Very interesting reading! I have one age spot on my left hand. It developed after I had children. I love all the different possibilities to use...No spots as yet...Some people seem to really have a lot. They are not attractive at all. Do all of these solutions work about the same??? Going to do the usual sharing and pinning etc.. I think I would rather use lemon than onion...someone may want to put my hands on a hamburger. Love the fact that you share the work of your fellow writers. You are just a good person any old way you look at it. Say hi to MJ for me.